by blocking the protein Hhex. Melbourne researchers have shown they can stop leukaemia in its tracks by targeting a protein that puts the handbrake on cancer cell growth. The researchers discovered that targeting a protein called Hhex could cure acute myeloid leukaemia (AML) in preclinical disease models, and could be a key target for new therapies for human leukaemia. Dr Ben Shields and Dr Matt McCormack from the Walter and Eliza Hall Institute's Cancer and Haematology division discovered that loss of the Hhex protein put the handbrake on leukaemia cell growth and division. The protein is a critical factor enabling AML cells to grow uncontrollably, a hallmark of cancer. AML is an aggressive blood cancer that appears suddenly, grows quickly and has a poor prognosis. Existing treatments for AML are associated with serious side-effects. About three quarters of patients relapse after only a short period of treatment, with a five-year survival rate of just 24 per cent. Dr McCormack said discovering how AML overcame normal cellular controls on growth and division was a breakthrough in the search for new therapies. He said Hhex was a particularly attractive therapeutic target because it was overproduced in leukaemia and, while essential for leukaemia cell growth, was not needed by healthy blood cells. 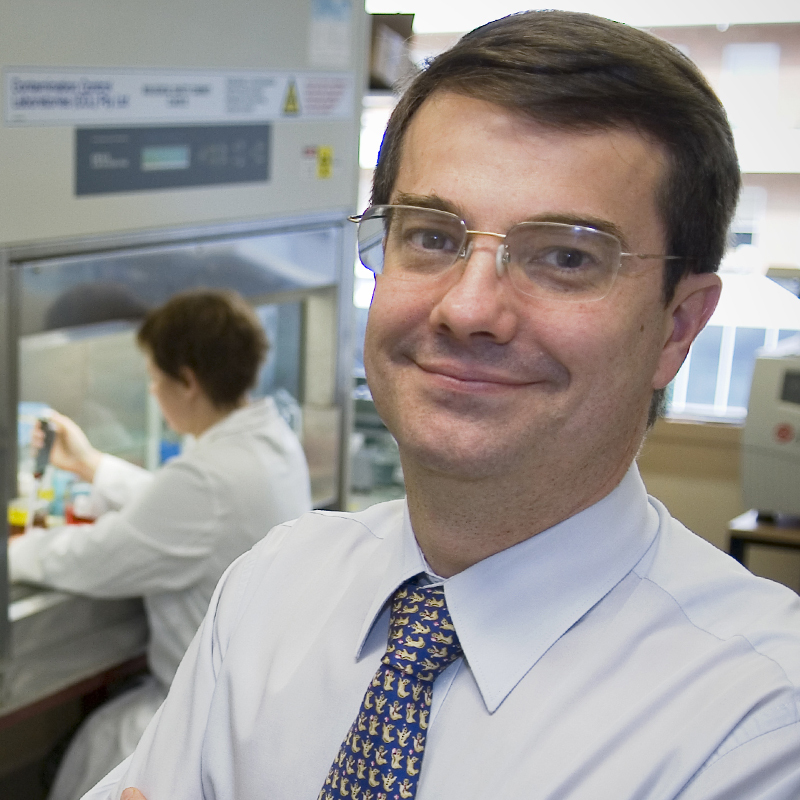 “Most existing treatments for AML are not cancer cell-specific, and unfortunately kill off healthy cells in the process,” Dr McCormack said. Dr Shields said AML cells switched off the controls that strictly manage cell growth and division. “Every cell has control genes that are activated when a cell is stressed, such as in the early stages of cancer, and stop the damaged cell from reproducing.” Dr Shields said. While these control genes are still present in AML cells, they are switched off through a process called epigenetic modification. “Hhex works by recruiting epigenetic factors to growth control genes, effectively silencing them. This allows the leukaemia cells to reproduce and accumulate more damage, contributing to the speed of AML progression,” Dr Shields said. Dr McCormack said drugs that inhibit epigenetic modification had been previously used to treat AML, but caused significant toxicity because their targets were also required for normal blood cell function. The research was published today in the journal Genes & Development and was supported by the National Health and Medical Research Council, the Cancer Council of Victoria, the Leukaemia Foundation of Australia, the Australian Research Council, the Australian Cancer Research Foundation and the Victorian State Government Operational Infrastructure Support Program.